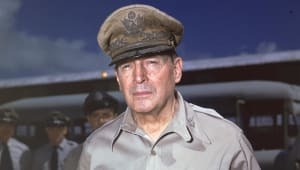 Famous People Who Died in D.C.
Douglas MacArthur was an American general best known for his command of Allied forces in the Pacific Theater during World War II. 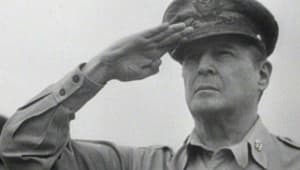 Douglas MacArthur was born in Little Rock, Arkansas, on January 26, 1880. 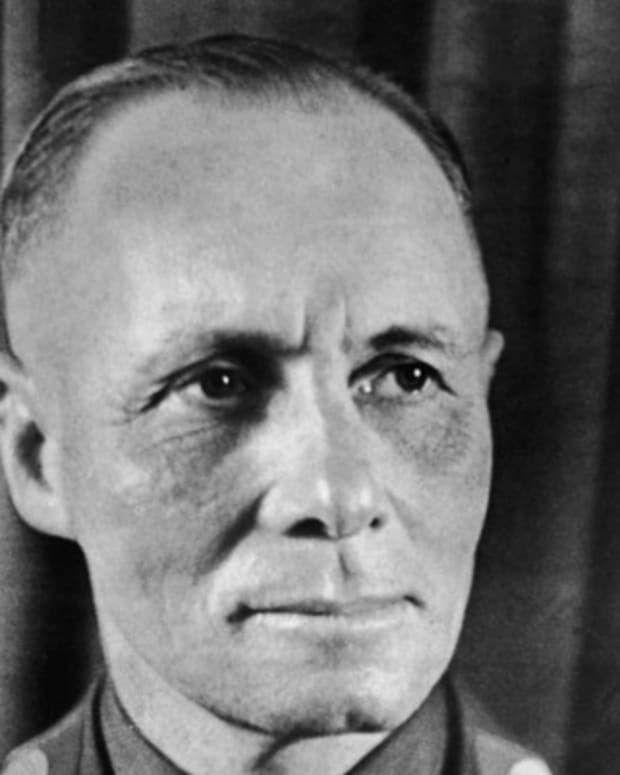 After graduating from the United States Military Academy at West Point in 1903, he fought in World War I, and in World War II was the commander of Allied forces in the Pacific. 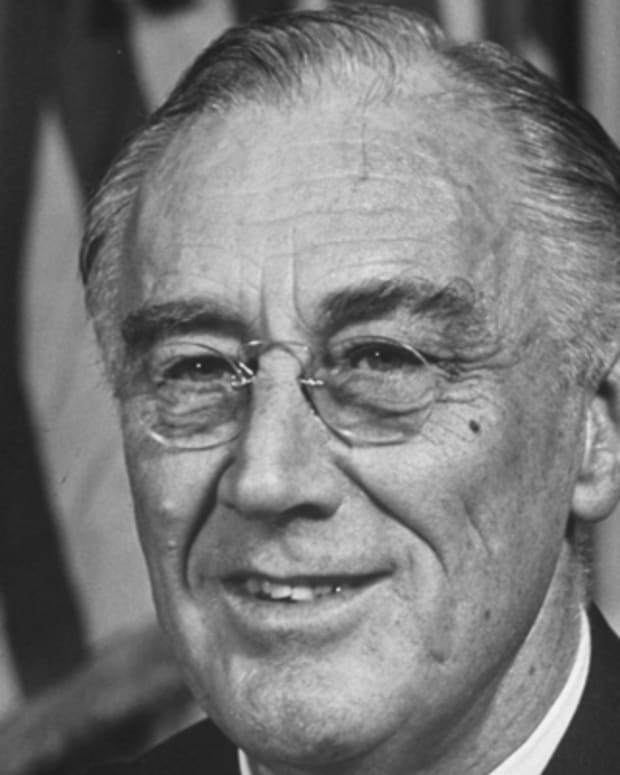 When he criticized President Harry Truman&apos;s handling of the Korean War, he was relieved of his command. MacArthur died on April 5, 1964, and was buried in Norfolk, Virginia. Douglas MacArthur was born on an Army base in Little Rock, Arkansas, on January 26, 1880, into a family with a strong military history. 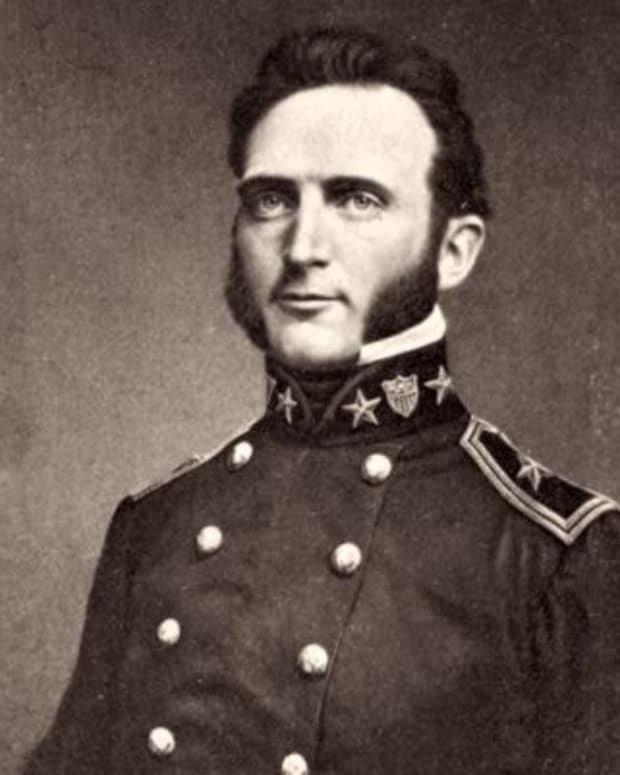 His father, Arthur, was a captain at the time of Douglas’ birth, and had been decorated for his service in the Union Army during the Civil War. Douglas’ mother, Mary, was from Virginia, and her brothers had fought for the South during the Civil War. The base where Douglas was born was just the first of several military posts on which he would live during his youth. 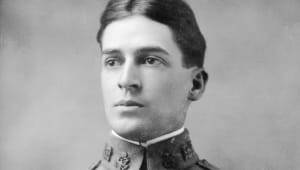 In 1893 his family moved to San Antonio, Texas, and MacArthur attended the West Texas Military Academy, where he began to show academic promise. He was also a member of several of the school’s sports teams. After high school, MacArthur enrolled in the United States Military Academy at West Point, where he excelled, and in 1903 he graduated with honors. Following graduation, MacArthur was commissioned as a junior officer in the Army Corps of Engineers and spent the next decade fulfilling a variety of duties. This early period in his military career was marked by frequent promotions and led to posts in countries around the world, including the Philippines, Japan, Mexico and, in 1914, France. At the start of World War I, MacArthur was promoted to major and assigned to what were essentially intelligence and administrative units. 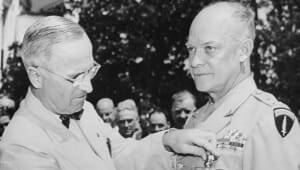 However, after the United States declared war on Germany, the 42nd Division (the so-called “Rainbow Division,” a National Guard unit composed of soldiers from a number of states) was created, and MacArthur was promoted to colonel and put in its command. In 1918 he participated in the St. Mihiel, Meuse-Argonne and Sedan offensives, during which he repeatedly distinguished himself as a capable military leader. Upon returning from Europe, MacArthur became the superintendent of West Point, a post he held for the next three years. During this time he was promoted to brigadier general of the Army and also married his first wife, Louise Cromwell Brooks. For the rest of the 1920s, MacArthur again held various military posts and also headed the American Olympic Committee. He divorced Louise in 1929. In 1930, MacArthur was promoted to general and selected as the Army chief of staff. 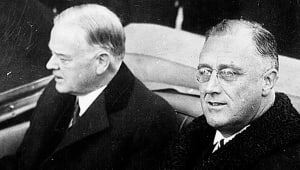 Over the next few years his efforts were primarily devoted to maintaining a military that, like the rest of the country, was crippled by the Great Depression. He also spoke frequently of what he considered to be the increasingly serious threat of Communism, both in the United States and abroad. 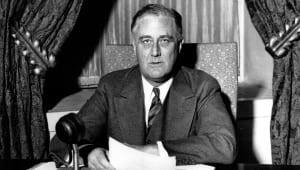 In 1935, President Franklin D. Roosevelt chose MacArthur as his military adviser to the Philippines and sent him there to establish a defensive military force. 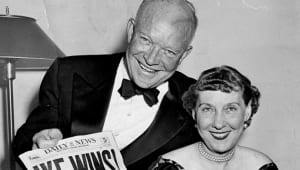 MacArthur married his second wife, Jean Faircloth, in 1937, and the following year she gave birth to a son, Arthur. In July 1941, MacArthur was recalled to active duty and became commander of U.S. forces in the Pacific. 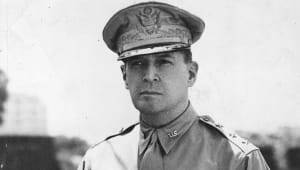 A Japanese invasion of the Philippines that same year drove MacArthur’s forces from the country, but in the years that followed, MacArthur launched a number of successful offensive operations against the Japanese military in the region. 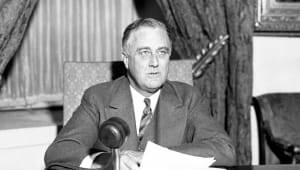 During this time, he was frequently and openly critical of his superiors’ decision to focus military resources on the war in Europe rather than in the Pacific. 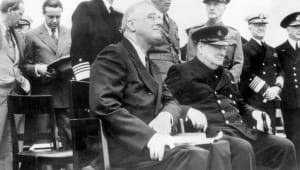 In 1945, at the end of the war, President Harry S. Truman appointed MacArthur supreme Allied commander. 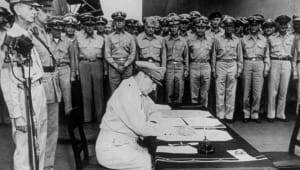 MacArthur was placed in charge of the formal surrender of Tokyo, and for the next six years, he remained in Japan to command the occupation forces there and to oversee the rebuilding of the country. When the North Korean army invaded South Korea in 1950, MacArthur was placed in command of the newly created United Nations forces and quickly drove back the attack. However, he failed to anticipate impending attacks by Chinese forces and was soon forced to retreat. 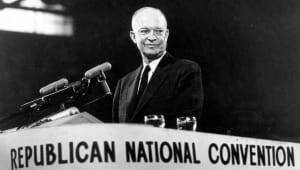 In the aftermath of this defeat, MacArthur was vocal about his belief that the war should be expanded to include China, despite warnings from President Truman that he should keep his opinions to himself. Exasperated by MacArthur’s refusal to do so, Truman finally relieved him of his command in April 1951. MacArthur returned to the United States and settled in Washington, D.C. The American public welcomed him back as a hero, but Truman continued to be openly critical of his actions. 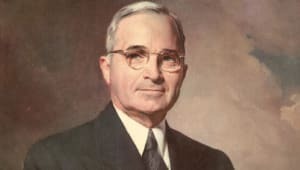 MacArthur devoted much of his time to defending his actions in Korea and criticizing Truman’s inaction, accusing him of having allowed Communism to run rampant in the region. He was also considered as a potential Republican presidential candidate, though none of these exploratory campaigns ever developed further. 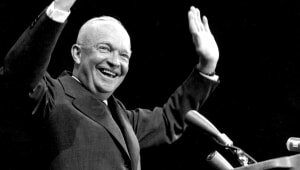 In 1952, MacArthur met with Dwight Eisenhower, who had just been elected president, and advised him on how to end the Korean War. His decidedly extreme strategy, which included the use of atomic weapons, was rejected. Around this time, MacArthur and his wife moved to New York City, and he was elected chairman of the board for Remington Rand, a manufacturer of typewriters and early computers. Besides the duties that came with this post, MacArthur devoted his time to writing his memoirs, which would later be published as Reminiscences and serialized in Life magazine. 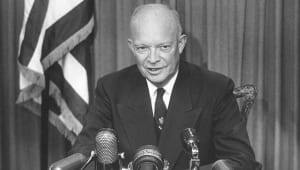 He would also meet with presidents John F. Kennedy and Lyndon B. Johnson to advise them on military matters. 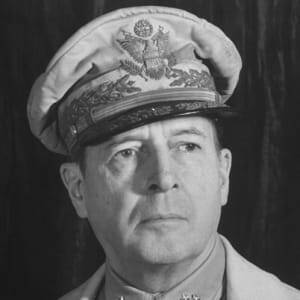 Douglas MacArthur died in Washington, D.C., on April 5, 1964, at the age of 84. He was honored with a state funeral and was buried in the Douglas MacArthur Memorial in Norfolk, Virginia. The memorial is not only the resting place of MacArthur and his wife Jean, but also home to a museum collection documenting his life and military service. On D-Day, June 6, 1944, Eisenhower commanded the Allied forces in the Normandy invasion. 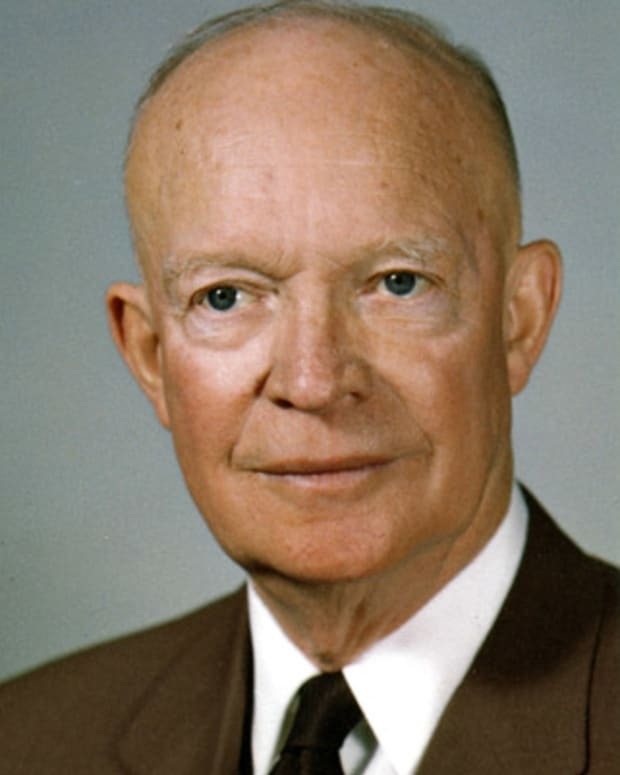 He went on to become the 34th president of the United States, and promoted Atoms for Peace at the United Nations General Assembly in order to ease Cold War tensions. 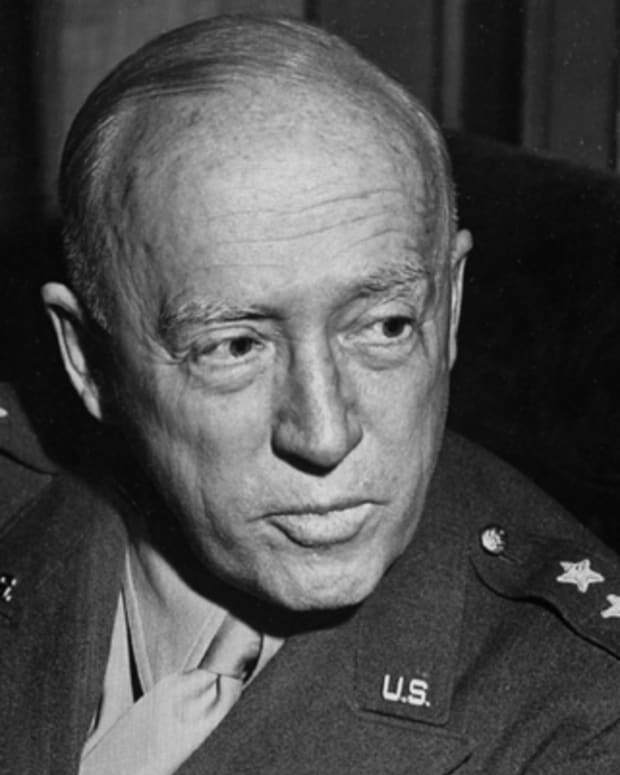 General George Patton led the Third Army in a very successful sweep across France during World War II in 1944. He was skilled at tank warfare. 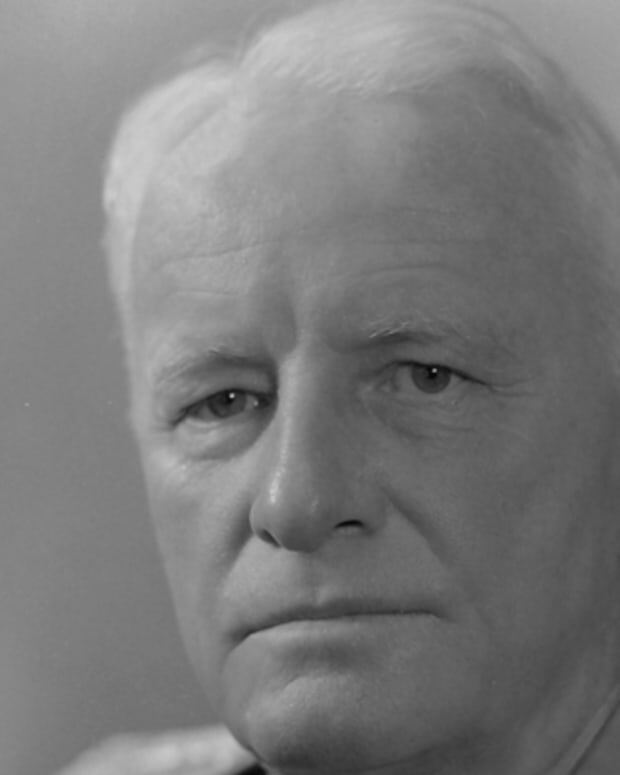 Chester W. Nimitz was commander of the U.S. Pacific Fleet during World War II. A brilliant strategist, he commanded all land and sea forces in the central Pacific. 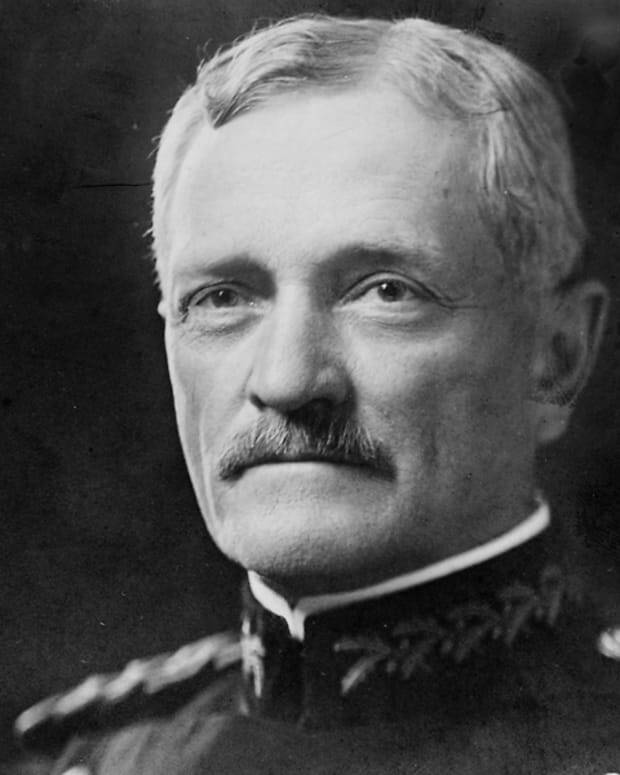 Find out about the life of General John J. Pershing who led the American Expeditionary force during World War I on Biography.com. Stonewall Jackson was a leading Confederate general during the U.S. Civil War, commanding forces at Manassas, Antietam, Fredericksburg and Chancellorsville. 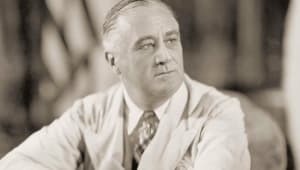 Franklin D. Roosevelt was the only U.S. president to be elected four times. 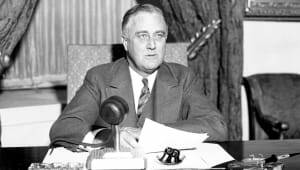 He led the United States through the Great Depression and World War II. 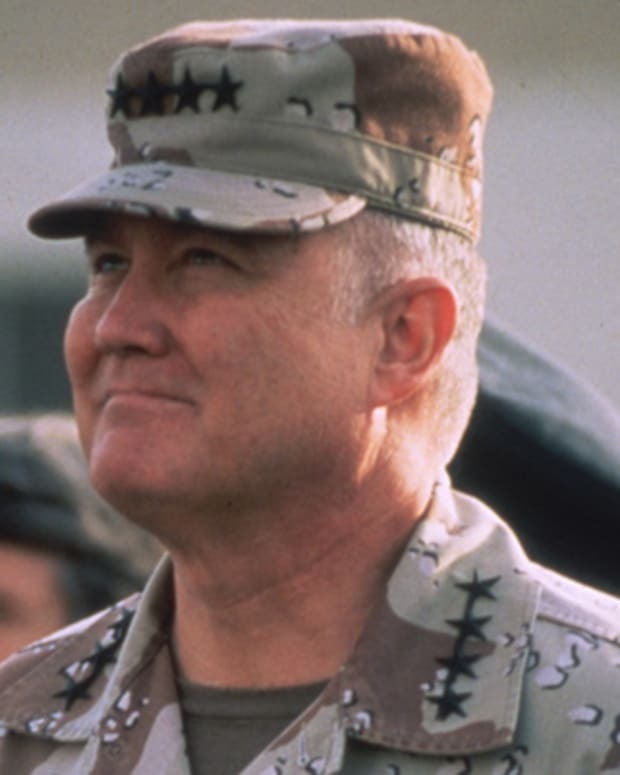 Norman Schwarzkopf was a Vietnam War veteran, commander of the U.S. Central Command and a four-star general in the U.S. Army. 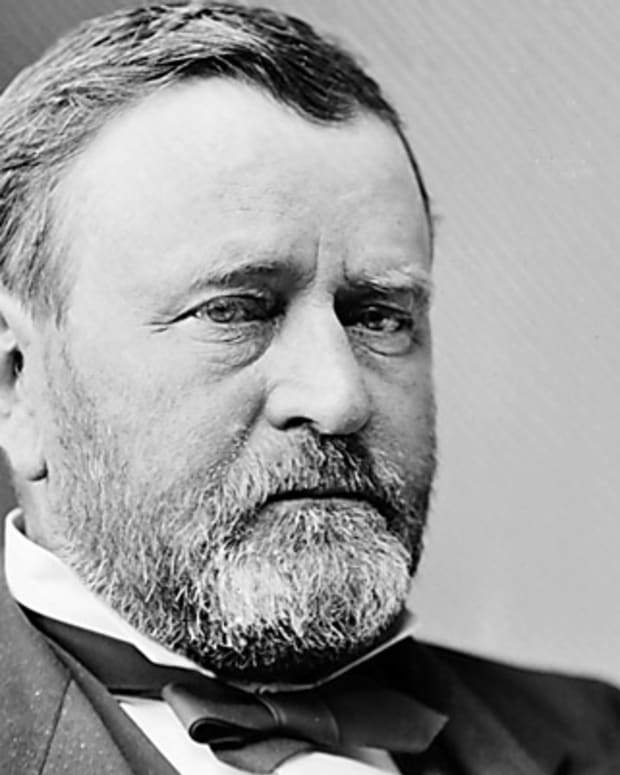 Steven Spielberg may direct Leonardo DiCaprio in a Ulysses S. Grant biopic at Lionsgate. Grant served as commander of the Union armies during the American Civil War, later serving two scandal-rocked terms as U.S. president. He commissioned Mark Twain to write his biographies.